Zhebrivsky, the head of the Donetsk regional military-civil administration of Ukraine, has informed about a new attack by the combined Russian-separatist forces on the Ukrainian town of Avdiyivka, where a stadium in the center of the town and a school, which was used as a humanitarian aid collection point, have come under fire. "Insane Russian proxies have just fired on Avdiyivka. Shells have directly hit points distributing humanitarian aid to locals. They've fired on a stadium in the heart of the town, next to us, where there is a tent site with heating stations. They have fired on school No. 2, which was used as a humanitarian aid collection point," he wrote on Facebook on Thursday evening. According to preliminary reports, one person has been killed and one has been wounded amid the shelling. "The bombardment is on," he wrote. He later said in an update: "A wounded woman was found near the No. 2 school building, which came under fire. She was rushed to hospital but died of wounds. 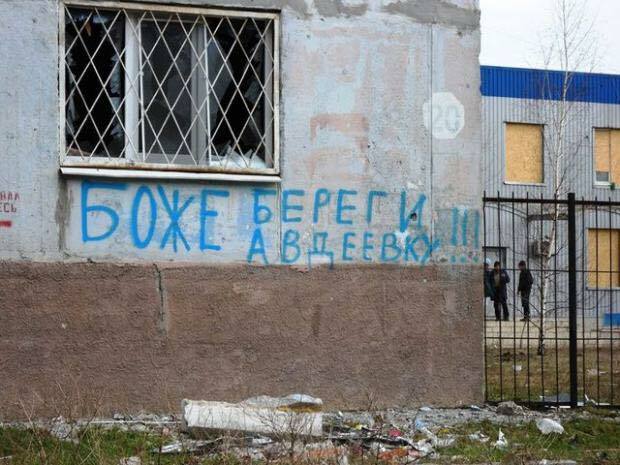 This is the second dead person in Avdiyivka in the past hour." A foreign press photographer had a face injury, he added. Zhebrivsky also informed about a direct hit on a house at 19 Molodizhna Street in the town. "A gas pipeline and the heat transport system have been damaged," he wrote. One shell has hit a vehicle of Ukraine's State Emergency Situations Service. Hromadske TV reported that among the dead was an emergencies service worker.